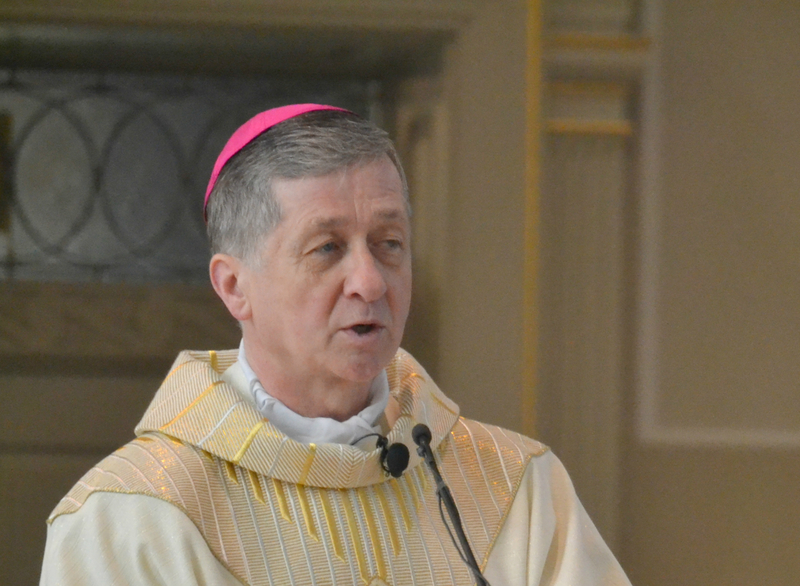 Cardinal Blase Cupich of Chicago had the right topic at the right time for his August 2, 2018, speech at the annual meeting of the American Bar Association in Chicago. The Cardinal went on to say that the Pope’s revision of the Catechism reinforces the view that the right to life is “unconditional.” He suggested this will strengthen the pro-life movement in all its aspects. I am grateful for this opportunity to be on this panel of distinguished professors and lawyers to discuss this important topic of capital punishment. Their significant contributions put us in touch with the wide range of systemic injustices involved, such as the inconsistencies in applying Supreme Court decisions, the problems of racism, regional disparities and other factors related to the inequality of legal representation and the arbitrariness in applying the death penalty, the evolving standards of decency, not to mention the clear evidence that innocent people have been put to death. As you may have heard, today Pope Francis made a bit of news by revising the Catechism of the Catholic Church to say that capital punishment is “inadmissible because it is an attack on the inviolability and dignity of the person.” This dignity persists, the revision continues, “even after the commission of very serious crimes.” By adding this language to the Catechism, the Holy Father has made official a development of Church teaching that gained steam under Pope John Paul II, who repeatedly described capital punishment as virtually never acceptable, and called for an end to state-sanctioned executions the world over. This development was carried on by his successor, Benedict XVI. And now the Magisterium, the teaching office of the Church, affirms the doctrine against capital punishment, and the fact that the Church “works with determination for its abolition worldwide,” as Francis’ revision to the Catechism puts it. While I am not competent enough, or foolish enough to enter the debate about the Constitution being a “living document,” I do want to say something about two important principles developed at the Second Vatican Council that have forced the Church to come to this new understanding of its position against the death penalty. Doing so will allow me to give a theoretical grounding to the evidence of inequality and inconsistency that others have pointed out. The first principle has to do with how the Church, not to mention every Christian, should understand its role in the modern world. We have entered, the Council noted, “a new stage in human history, the birth of a new humanism, where people are defined first of all by their responsibilities to their brothers and sisters and to history.” As a result, the proper task of the Church and each Christian is to “work with everyone in building a more human world” (Gaudium et Spes 54-57). In a word, Catholicism as a religion cannot be understood without a social commitment, to the point that salvation and the efforts toward transforming history are intertwined precisely because God has set out to “make people holy and save them, not as individuals without bonds or links between one another, but to bring them together as one people” (Lumen Gentium 9). God’s work, which we must make our own, is about bringing people together toward a more profound level of human intercommunion and shared life. And so, we have to do all we can to make sure that no one is excluded, and we are especially to be attentive to those who live at the margins of society, the poor, the vulnerable, the weak, those whose lives are at risk, including those on death row, because God’s plan is to bring people together and leave no one behind. The second principle has to do with the dignity of the human person and the inalienable right to life, which Pope Francis emphasizes in his decision to revise the Church’s teaching in the Catechism. The Church has long held that “the dignity of the human person is rooted in his or her creation in the image and likeness of God.” While this principle is often called upon by the pro-life movement, it has not been so prevalent in the death-penalty discussion, that is, until today. Almost a dozen years ago, when I was the bishop of Rapid City, South Dakota, I pointed this out in a piece I wrote for America magazine. I asked the question: Is the right to life unconditional in all circumstances, or can it be forfeited by criminal behavior or advancing age? The occasion for writing this article was the coincidence that voters and the legislature of South Dakota were simultaneously considering the issues of abortion and capital punishment. A law banning all abortions except to save a mother’s life was up for a vote. Proponents forcefully argued that the right to life is universal and God-given, a position held by the Catholic Church. The statute they supported did not refer to degrees or gradations of the right to life, nor did it rest on an individual’s quality of life, age or moral worth. At the same time, lawmakers were attempting to clarify the state death penalty statute, as it was discovered that the lethal injection drugs readied for the execution of a convicted murderer did not conform to state law. Members of both houses announced their intention to fix what is now known as “the cocktail problem,” so that the death penalty could proceed. Now, I fully recognized that the moral weight of these two issues differs greatly. Abortion, after all, involves the taking of innocent human life. Yet, it occurred to me that the convergence of these debates on abortion and the death penalty provided an opportunity to reflect more deeply on the claim that the right to life is universal and God-given. I argued that the assertion that every human life has an inherent and inalienable value will only be strengthened if we apply this principle to the morality of defending both convicted criminals and the lives of the unborn. As I noted, “the death penalty confronts us with a penetrating moral question: Can even the monstrous crimes of those who are condemned to death and are truly guilty of such crimes erase their sacred dignity as human beings and their intrinsic right to life?” Despite today’s news, faithful Catholics will continue to struggle with this question. And it is not hard to understand why. There are, after all, impulses deep in the human heart that answer: yes, certain crimes do bring a forfeiture of human dignity. That response springs from compassion for the victims of the most barbarous crimes in society and a desire to restore the order of justice that has been so viciously violated. At a profound human level, we tend to believe that by executing a murderer, we are somehow helping rebalance the scales of justice. But there is a flaw in that way of thinking, for the real tragedy of murder is that there is no way to rebalance the scales of justice, no way to bring life back to those who have been killed or to restore them to their grieving families. When the state imposes the death penalty, it proclaims that taking one human life counterbalances the taking of another life. This is profoundly mistaken. If there is any lesson we need to learn in this perilous age, it is that taking a human life in the name of retribution does not bring justice or even closure, even if it may feel that way in the moment. Rather, capital punishment only continues the cycle of violence and vengeance. The tragic truth is that nothing can restore a human life. We are left confronting the unavoidable moral question posed by capital punishment: Is the right to life conditional, or is it unconditional? Can men and women forfeit their right to life by their behavior, or is that right irrevocably given by God? Can society — that is, we the people — determine that the crimes committed by human beings supersede their intrinsic claim to life? This question is all the more trenchant in an age when secure prisons and a viable justice system can virtually guarantee that those who have committed the most grievous acts against their fellow citizens will not pose a continuing danger to society. It means that when the state chooses to perform executions even when there are ways to protect society, it has concluded that the right to life is conditional after all. Such a state, even if it does not intend to do so, inevitably weakens the ability of its citizens to defend the sacredness of human life against all the threats that imperil life in the present day. Erasing the innate value of individual lives because of crimes committed, and removing such criminals from the human family, is an echo of the violence done to human dignity when pro-choice advocates imply that the life developing in the womb is not “real human” life. Both conclusions assume that the right to life is contingent, rooted not in the free and absolute gift of a sovereign and loving God, but in the discernment of relative worth by society. The Church and now especially Pope Francis considers how this question bears on all issues related to human dignity. We live in an era when the dignity of human life is threatened. Wherever we turn we encounter mounting efforts to treat the lives of men and women as mere means to larger and allegedly more important goals. Global markets are developing for the sale of vital human organs by those driven, in the desperation of poverty, to risk death in order to provide food and shelter for their families. In our own land, a dominant cultural ethic asserts that the lives of immigrants are of less value because they are other, alien. The same ethic avows that unborn children have no sanctity when weighed against the wishes and needs of their pregnant mothers and that those in declining health are less worthy of continued care. And in terrorism, we see the chilling assertion that it is legitimate to kill innocent men and women in the service of political goals, religion, and revenge. This is why it is so vital for us to have this discussion, and especially for us to urge all elected officials and leaders to recognize their responsibility but also the vested interest of society in defending the sacredness and value of every human life. This principle of the dignity of human life must underpin any reference to inequality, inconsistency and systemic injustice. It is what holds together our care for the poor, the sick, the migrant, the excluded. Our assertion that the value of a human life does not depend upon an individual’s quality of life or age or moral worth must apply in all cases. For if we protect the sanctity of life for the least worthy among us, we surely witness to the need to protect the lives of those who are the most innocent, and most vulnerable.